The Edmonton Oil Kings’ team is still littered with Oilers’ prospects; Travis Ewanyk, David Musil, Mitch Moroz, and the recently signed Martin Gernat. Depending on how the Oilers’ draft selection goes this year, Curtis Lazar may be added to that list, but that’s another matter altogether. Due to the Oilers’ current playoff position and play as of late, it’s just another season of looking forward to the future, and hoping that maybe one of these young players could be part of the solution. From the WHL though, the NHL is a long way away. Still, it’s playoff hockey, and there is something to cheer for for Edmonton fans. 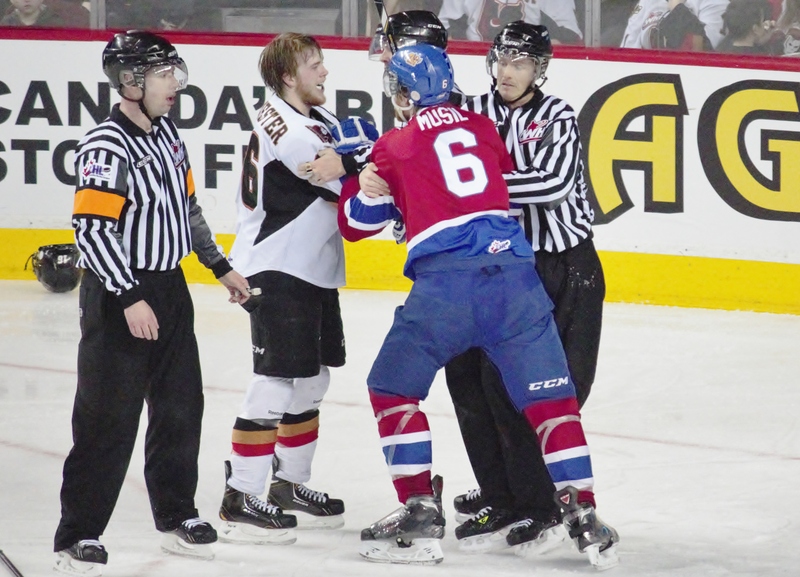 After breezing through the 2012 WHL playoffs, and what they have seen of the 2013 playoffs, the Oil Kings are suddenly faced with a challenge and adversity. The team dropped the series opener at home to the Hitmen, 3-2 in overtime, but convincingly took game 2 by a score of 6-0. 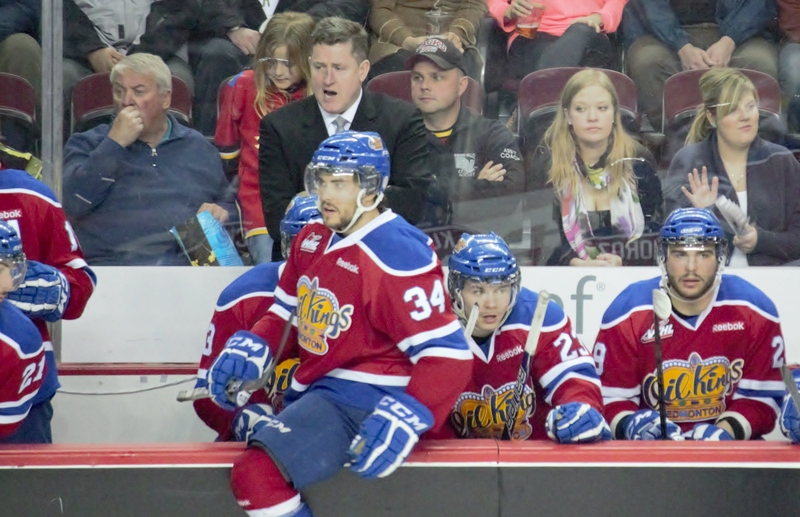 In this, game three, the Oil Kings fell to the Hitmen 5-2. The Oil Kings opened the scoring, but struggles through the second period including sloppy stick penalties cost the team dearly allowing the Hitmen to score 5 goals on 26 shots. Laxdal emphasised his team’s need to play smart hockey, and that their chances were running out. "There was no excuse, we were ready for tonight but they just pounced on us." If the Oil Kings hope to make a run at a second consecutive WHL title, they can't afford to drop another game. It may be a 7 game series, but catching up is never how you want to take a series; it only makes the next round that much more difficult. The Oilers' hopes may be completely dashed, but there is still room and cause for optimism with the Oil Kings. For now.